After a long hiatus of “And the sign says…” I’m hopping back on the proverbial wagon with two gems from yesterday’s adventures. 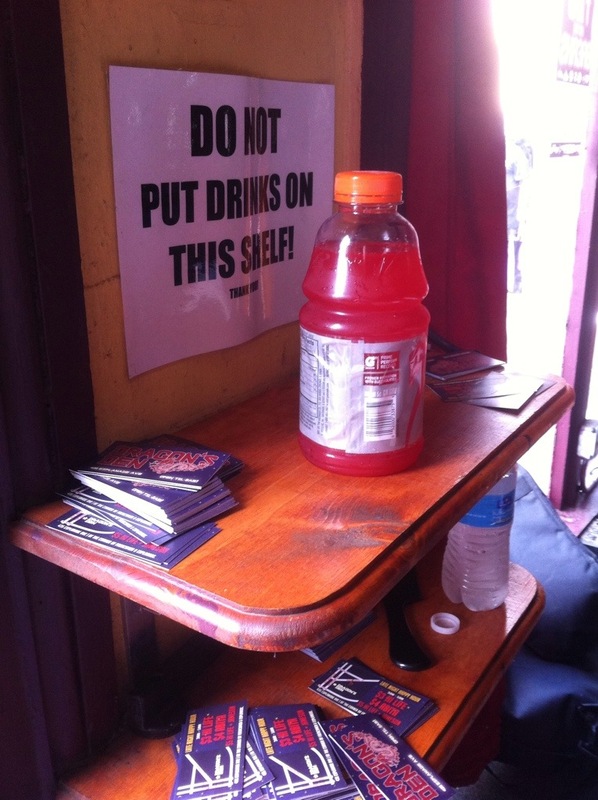 The first is not so much about the sign as the blatant disregard for said signage. 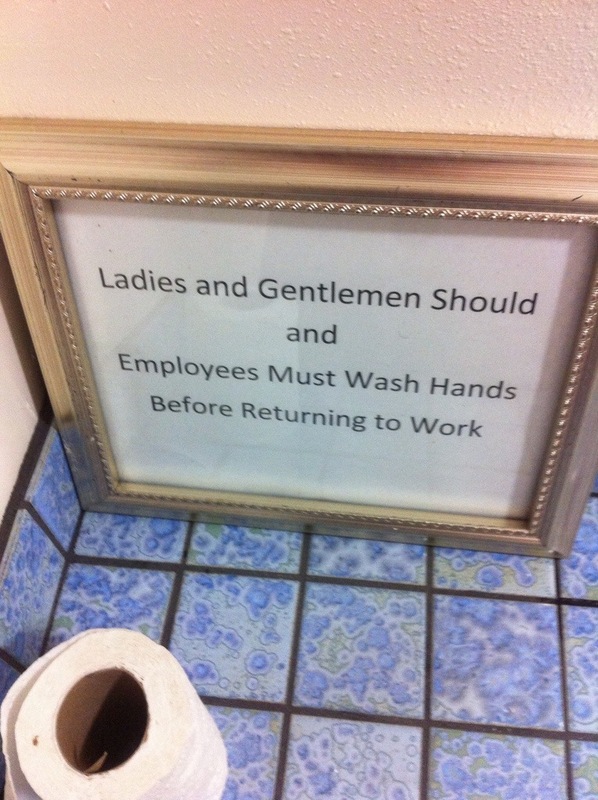 The second one, found in the bathroom of Kebab (a fabulous new eatery on St. Claude Avenue in New Orleans) is a plea for cleanliness. I’ve always thought that washroom signs should be so bold.